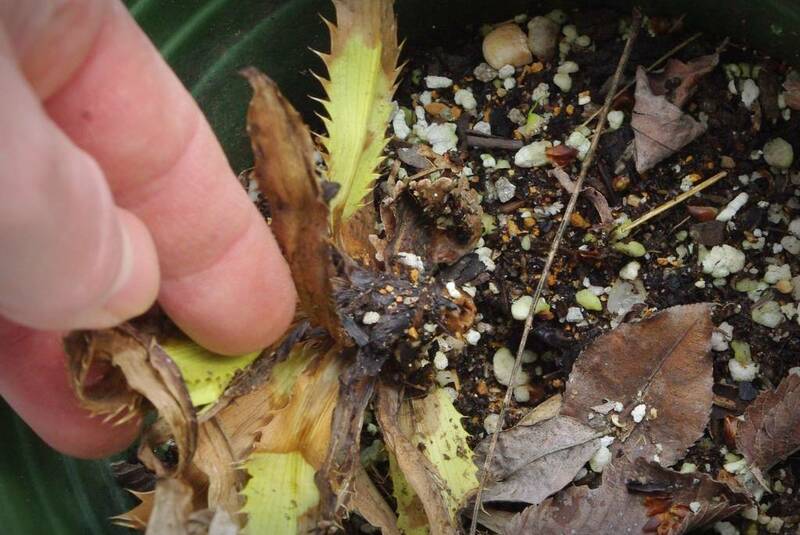 Starting with these Echium wildpretii that I tried to overwinter in the garage. As you can see, none of them made it. Was it too little water or light? Should I have tried to keep one growing under lights? I'm going to grow some more from seed (if I can find them) and try again this year. I want to get one of those blooms! Yep, that's a dead one. What about the other one? Not looking good, but doesn't tug out yet. I don't have high hopes for it though. Nope. Crap! 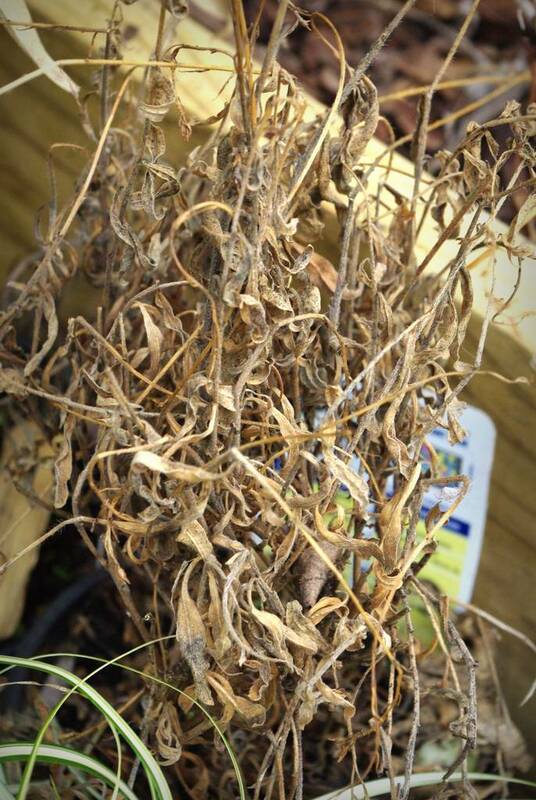 Has every plant over here rotted this winter? Thankfully, no. Yucca nana is looking great! Most of these plants only started looking bad toward the end of winter, probably after we started getting more precipitation. I probably should have moved these to a more protected location, or ideally had their planting beds ready. Sigh. 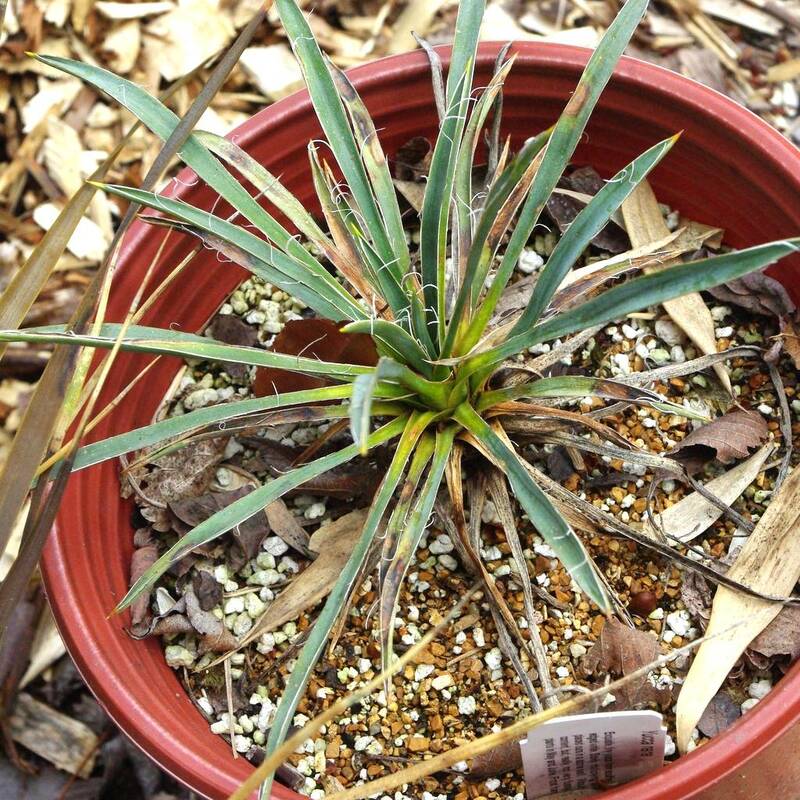 I think I'll try again with the Yucca rostrata... maybe. Speaking of more precipitation, that recent heavy snow we had? There was another casualty. 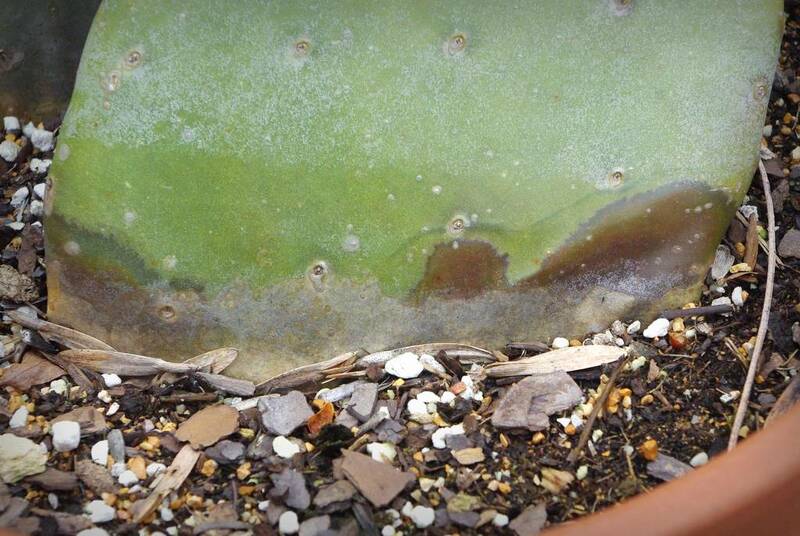 This opuntia had some pads knocked off, but that doesn't worry me too much. Yeah, that's not a good sign. I'm pretty sure this one was fine before the heavy snow... maybe the weight of it "creased" the plant and caused the rot to start? That is not a good color. I'll remove the rest of the pads from that one and plant them when it warms up a little. 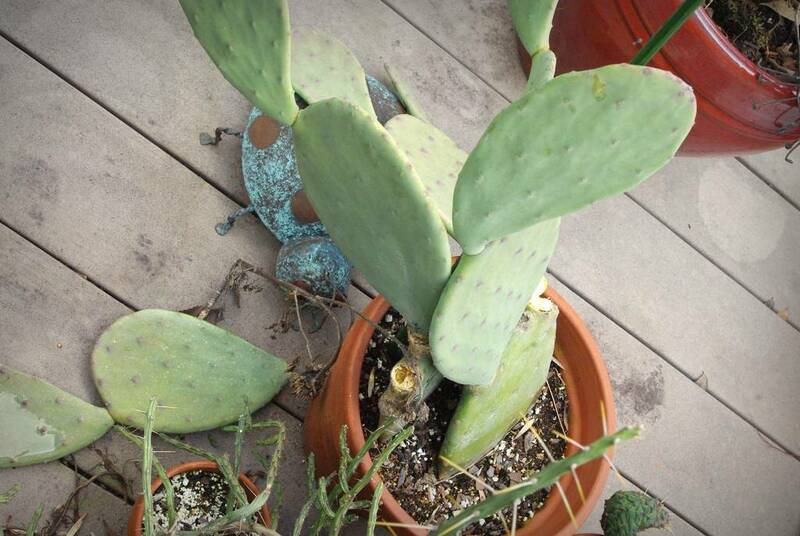 I think all of the other Opuntias are fine, but they all shriveled and laid down when winter arrived -- this one (Opuntia cacanapa 'Ellisiana') stayed upright so was more prone to breakage. Lesson learned. Gaura lindheimeri is really difficult to overwinter in my garden. I've planted it almost everywhere over the years, trying to give it the good winter drainage it needs. 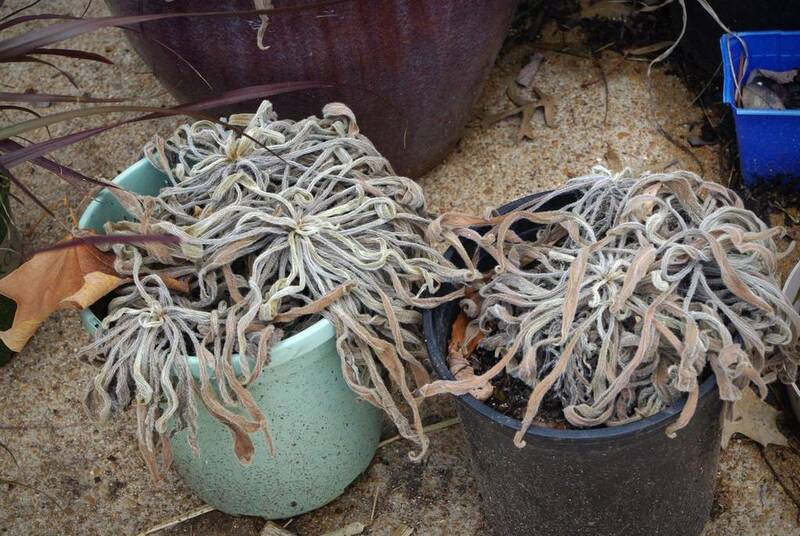 I fully expected the two I have now -- including this potted one -- to die this winter too. It's not all bad news today it seems. Yahoo! 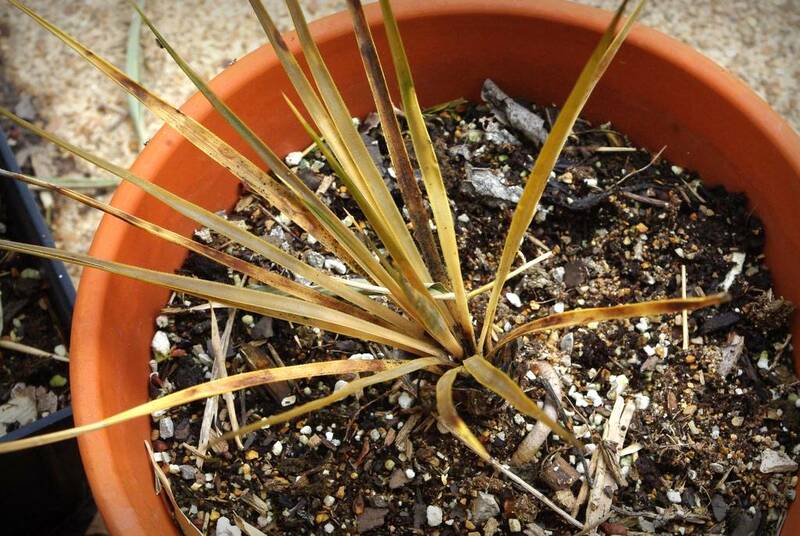 Have you lost any plants that you cared about this winter? Oh Alan this is such a sad post!!! I've experienced the death of most of those plants myself (not this year), and know the feeling. You might just give the Echiums a bit more time. I've had them look pretty horrid but still be alive and start kicking out new leaves once it warms up. Heartbreaker, Alan. So sorry. Nothing lost to cold and certainly nothing lost to excess moisture here in TX Hill Cntry. On the contrary, I'm thinking my Blenheim apricot tree may not make it through another year of severe drought, despite supplemental watering. 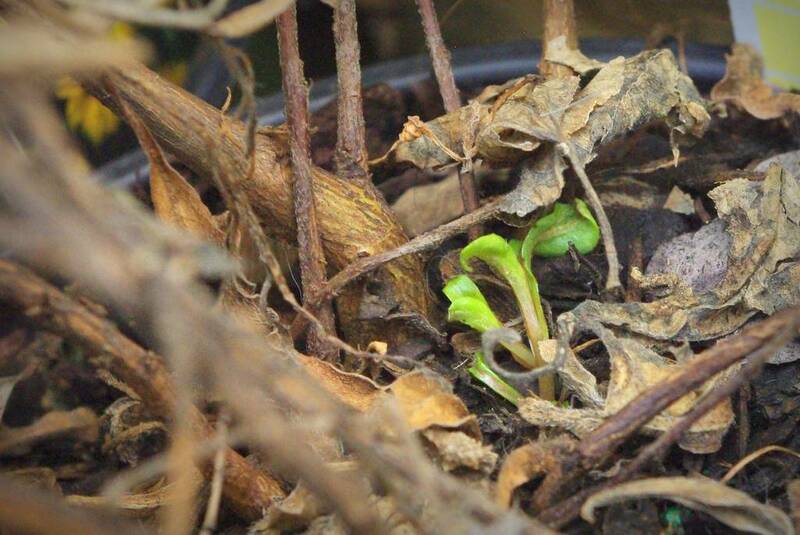 Problems are opposite, but both troublesome to plants we love. 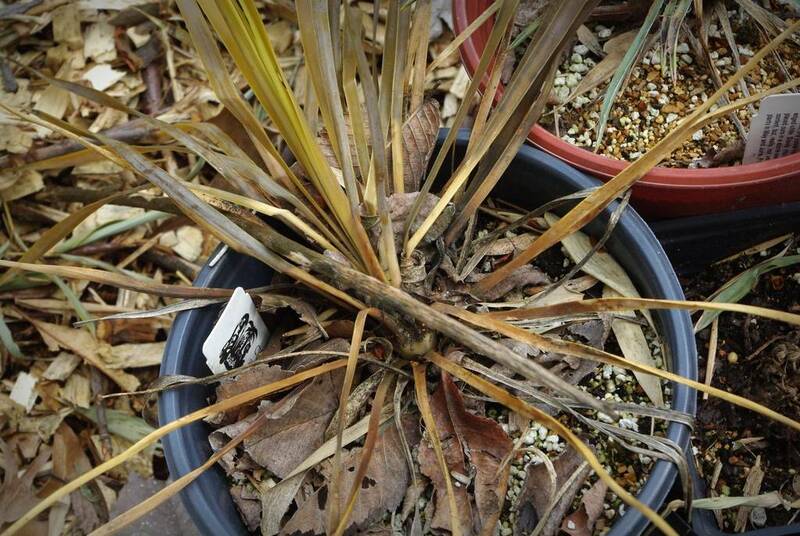 I don't think yucca rostrata is that cold hardy because it died off on me when I tried it even with winter protection. 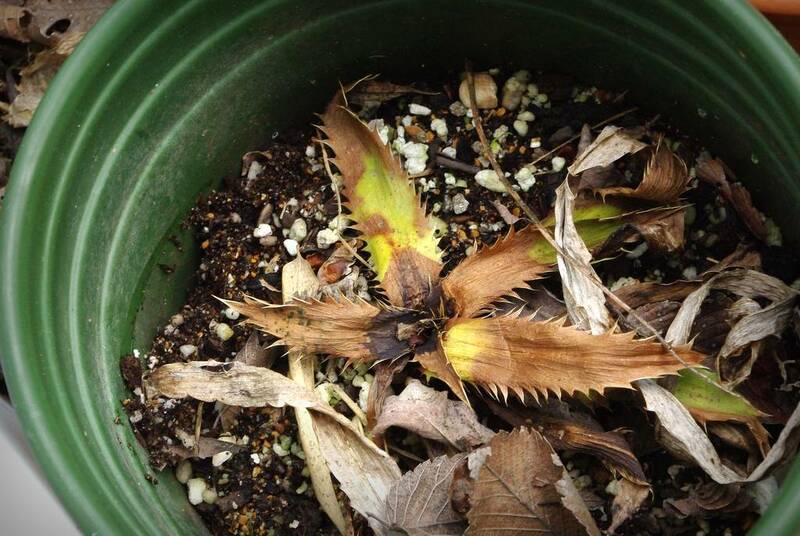 The yuccas I have started from seed seem to have much better hardiness, but I don't know what species they are. 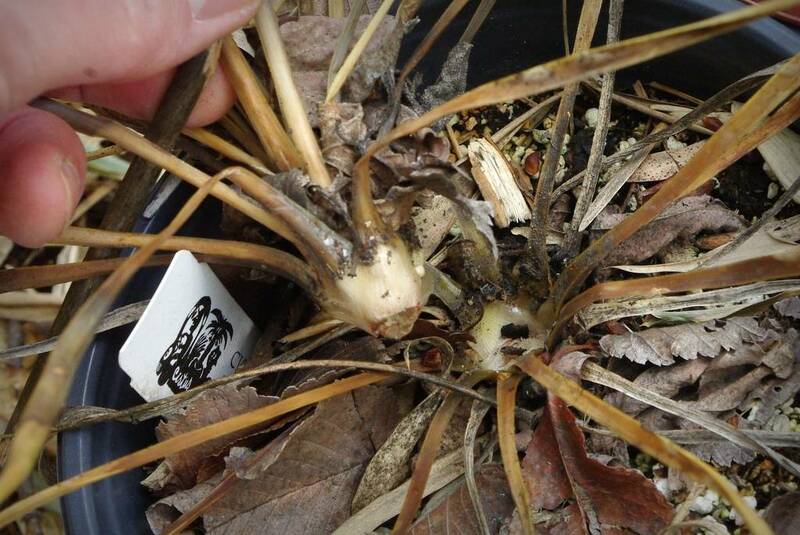 Some cold hardy yuccas don't take any damage with zone 6 winters. So sad! I totally feel your pain right now. I put a few of my plants out a little too early and they are looking pretty sad right now. I'm really sorry you lost so many beautiful plants. But don't be discouraged. Chances are you'll have much better results the next time. Echium wildpretii: I think your plants didn't get enough water and/or light. I'd keep them on the dry side but still give them a drink now and then. They're full-sun plants so I imagine they need quite a bit of light if kept indoors. Do you need more seeds? I can send you some. 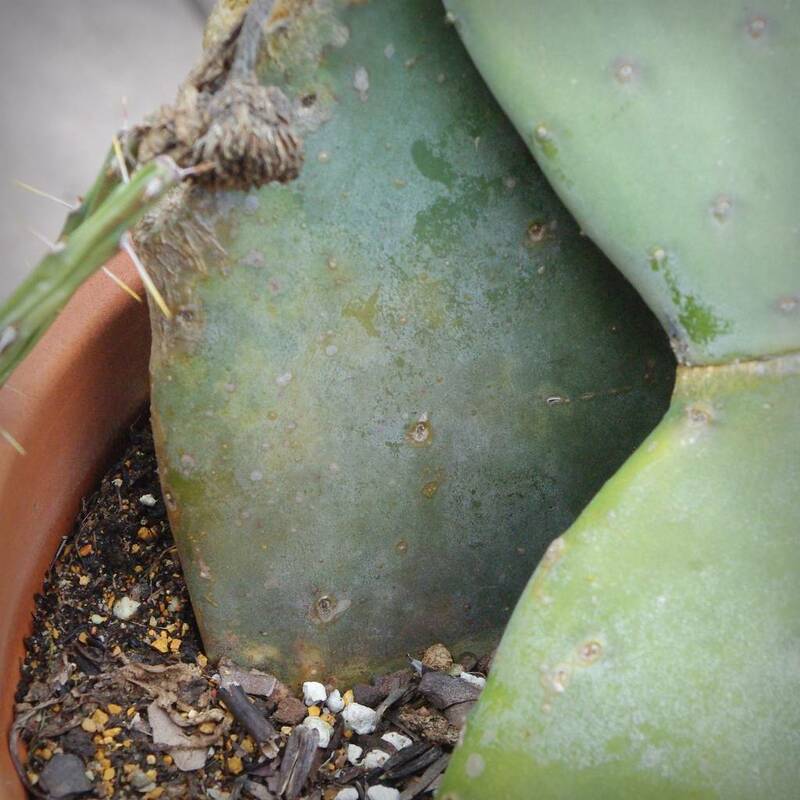 Opuntia: I think the first one is a gone. That dark stuff at the base looks like rot. 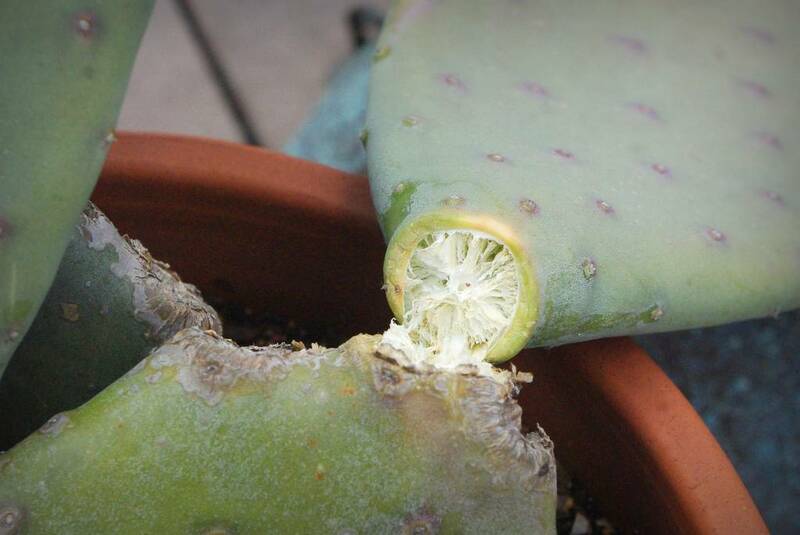 If you act quickly you might be able to safe the pad; disinfect a sharp knife and then cut it above the rotten base. 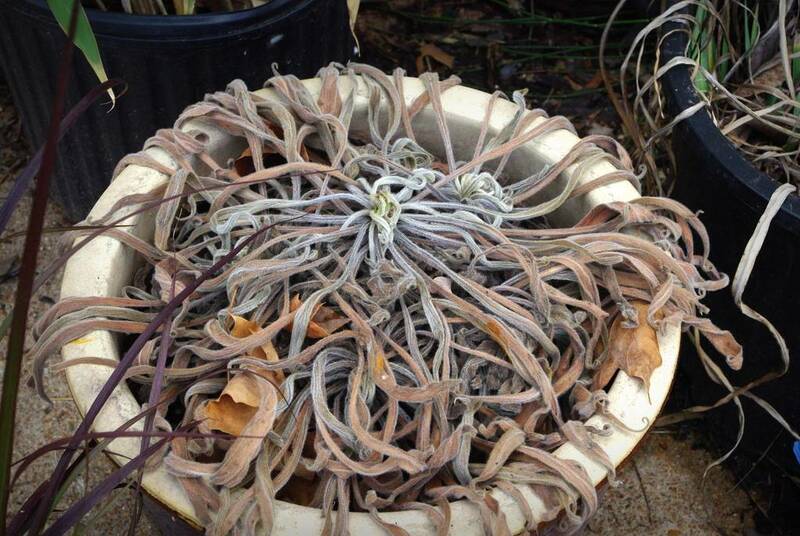 Put it in a dry spot for a few weeks to callus over, then place in dry succulent mix until it forms roots.